Two small Android OEMs, Velocity Micro and General Dynamics, each cut a check payable to the order of Microsoft to take care of licensing fees that allow the pair to use the Android OS. Even though Android is considered Google's baby-and rightly so-the gang at Redmond still have some patents involved in the software which the company feels it should be paid for to license to users. The amount of the payments to Microsoft has not been disclosed. While Velocity Micro and General Dynamics are two small minnows in a sea of sharks, getting the two smaller manufacturer's to pay allows Microsoft to say that a precedent has been set and that since the smaller companies have paid to license Microsoft's patented work on Android, the bigger manufacturers should be forced to open their wallet as well. It is more than just a bit ironic that Microsoft could profit from heavy sales of one of the operating systems that is keeping Redmond's Windows Phone 7 down as just a bit player in the smartphone market as of now. 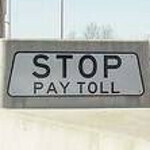 Microsoft is concerned that Google's $900 million purchase of Nortel's patents-assuming no one comes in with a disruptive higher bid-could allow Google to close the Microsoft toll booth on the Android Expressway where the latter firm has been collecting royalties like the payments made by Velocity Micro and General Dynamics. And considering the market response to smartphones powered by Windows Phone 7, at this juncture Ballmer and his crew might just be better off focusing on collecting the tolls from Android manufacturers. I can't believe the larger number of completely idiotic comments I read on this website. Microsoft is collecting on amounts it is rightfully owed. You people should be embarrassed of yourselves with comments like these. Next time do yourself a favor and keep your mouth shut. Please remember the old saying, "It is best to keep quiet and look dumb than to open your mouth and give the world proof." Sometimes I think people are just jealous of the success of others. You've got to be kidding me. Maybe Microsoft should make better products instead of trying to piggyback off someone else's successes. But Bill Gates would rather make crappy WinMo7 phones and Windows OS than to try and put out quality products. Bill Gates doesn't operate Microsoft anymore bro, lol. Get with the times, and facts, Microsoft is entitled to those payments by LAW. If it walks like a duck, talks like a duck, and quacks like a duck, then it very well is a duck.